In the United States, an estimated 1 in 3 people are either dealing with an addiction, or are severely affected by the addiction of someone close to them. By integrating the wisdom of yoga with the practical tools of 12-step programs, the Yoga of 12-Step Recovery program (Y12SR) offers a rich and powerful framework to support addiction recovery. Serving people who are in recovery from all manifestation of addictions, Y12SR is not only a relapse prevention program, but a reintegration program that reconnects those in recovery with all parts of themselves and with the world…moving beyond duality, into oneness. Leading the way to establish yoga as a recognized intervention for relapse prevention. Yoga of 12-Step Recovery grew from founder Nikki Myers’ personal experience of using yoga with a 12-step program to maintain sobriety. Since 2003, Y12SR has grown into a robust program that has trained more than 350 active leaders nationwide to host weekly meetings in community and clinical settings — creating a safe place on the mat where trauma can be released, and healing can take place. Supporting the underserved with tools for addiction recovery. By contributing to Y12SR’s Urban Outreach Program, you can help to bring weekly meetings into nonprofit treatment centers, rehab facilities and halfway houses that do not have the funds to underwrite such programming. This support ensures that those who are at high risk of relapse will be greeted by a familiar teacher each week, leading them into a personal practice that combines yogic and 12-step methodology. Learn how to facilitate Y12SR meetings in your community and in treatment centers. Yoga of 12-Step Recovery certifies facilitators through a two-part training process: an initial intensive on integrating 12-step methodology with yoga, and a leadership training that teaches space holders how to host their own Y12SR meetings. An additional offering, the “Breaking Barriers” training, plays an essential role in relapse prevention by examining the roots of codependency to address the underlying cause of addiction. 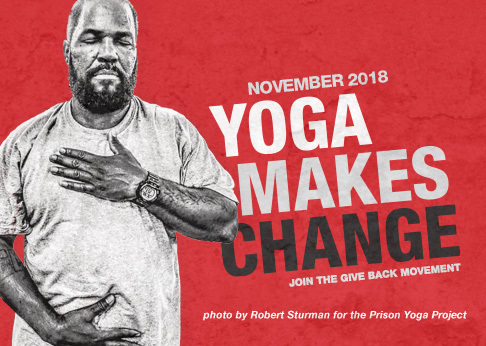 Our Goal: To share the healing practice of yoga with those who are recovering from addiction, no matter their financial circumstances. With your support, we aim to bring the Y12SR program into 100 under-resourced treatment centers nationwide, providing a tool for relapse prevention to those who are most vulnerable.